Coming off one of the strongest draft classes in recent memories in 2017, it would be natural to expect a weaker draft class the following year but with the possible addition of Marvin Bagley III to an already loaded group, 2018 could be every bit as good, if not better than the 2017 class. The 2018 class is loaded at all positions, unlike the point guard heavy class of 2017. If Bagley reclassifies, he'll make the power forward spot as strong as it's been in recent memory. Here's a look at the top 3 prospects at each position. 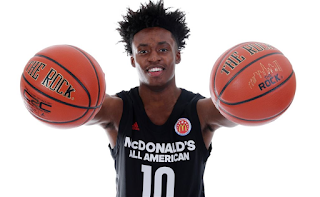 Collin Sexton has emerged as the cream of the point guard crop, heading into the college basketball season. He's an ultra-competitive scoring point guard who will bring a ton of energy and aggressive play to the Alabama team. He does a great job of pushing the pace on offense and brings huge heart and hustle on the defensive side. A natural play-maker, Sexton is equally adept at scoring or dishing the rock. Luka Doncic could be listed at #1 here, as he's every bit of the prospect that Sexton is, but with a polar-opposite game. Doncic is a big, pass-first lead guard who lacks top end speed but has uncanny vision and elite feel for the game. As with all Euro prospects, it remains to be seen how his game translates to the NBA but one thing's for sure: his play-making skills will be fun to watch. Doncic has been the darling of some draft sites and could rise into that upper echelon of prospects with another strong year in Spain. Trevon Duval is an elite athlete at the point guard position who will make major strides with his game under the tutelage of Coach K at Duke. If he can harness his talents and develop as a distributor he could be a one-and-done lottery pick. Hamidou Diallo heads up a shooting guard class that is good but perhaps not has strong as some of the other positions in this class. Diallo gained excellent experience by practicing last year with UK and comes into the season ready to prove himself on the court. He's an elite level athlete with incredible bounce and a 7-0 wingspan, allowing him to throw down highlight reel dunks. If he can round out the rest of his game he's got lotto potential. Lonnie Walker has been a fast rising prospect, although he was slowed this summer my a knee injury. If Walker comes back healthy, he should have a big year for the Canes. He's a super bouncy athlete who excels at taking it to the cup and shows a nice ability to finish through contact. He's a natural 2 guard who knows how to get his shot. There's not a clear cut #3 SG prospect but look for Alonzo Trier to have a big year for the Arizona Wildcats. He might have been a first round pick in 2017 but returns to hone his game for an absolutely loaded Arizona squad. He's an ultra aggressive scorer who should take on a leadership role this year. 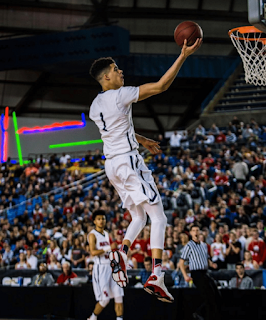 Michael Porter Jr. is a sure-fire top 3 pick thanks to his elite shot-making ability. He's an offensive machine who is nearly impossible to defend. 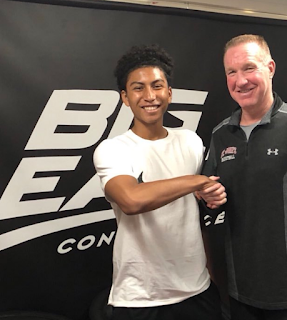 At 6-10 he can score inside and out and he has a level of polish on his offensive game that is rarely seen from young NBA players, let alone a college Freshman. Look for him to put up huge numbers this year for the Missouri Tigers. 6-8 Kentucky forward Kevin Knox is very young, very talented and oozing with upside potential. He shows flashes of greatness and should develop his consistency and intensity in his one year under Coach Cal. He's a smooth and fluid athlete who makes it look effortless. He glides up the court and can sky for big time dunks, while also showing a nice stroke from downtown. He might not put up big numbers for a loaded UK team but he's got big time pro potential. Miles Bridges might have been a lottery pick in 2017 but instead he returns for his Sophomore season to chase a championship at Michigan State. Another year under Izzo will help him take his game to a new level and be a pro-ready prospect in June. Bridges brings a little bit of everything to the table with his ability to score inside and out and facilitate the offense. Marvin Bagley III is the wild card. If the NCAA clears him to play in 2017/18 he'll immediately be the top PF and possible #1 overall pick in next year's draft. He's been dominant at the High School level and should be a major force in college as well. His agility, strength and elite skill level make him a generational type player, who should alter the fortunes of one lucky NBA franchise. Jaren Jackson Jr. is another super young player who is just scratching the surface of his potential. He's got great length, with a 7-4 wingspan and he gets off the floor quickly. Jackson excels at crashing the offensive glass and is a terrific dunker. He should be an integral part of a Spartan team that looks destined to make a big run in March. Jackson could be drafted in the top 10, partially off his production and also thanks to his intriguing upside. Robert Williams is another player who decided to pass on the 2017 draft and return for a second season. He's a powerful post player with nice length and good instincts as a defender. He can score with his back to the basket and is showing an improved face-up game. Mo Bamba is a unique center who is as quick and agile as any 7-0 player we've seen. He changes ends like a deer and is a super quick leaper with crazy length. His 7-9 wingspan and superb quickness help make him an elite defender and he's quickly developing his offensive game as well. He runs the floor better than other bigs and can be a real force in the transition game. 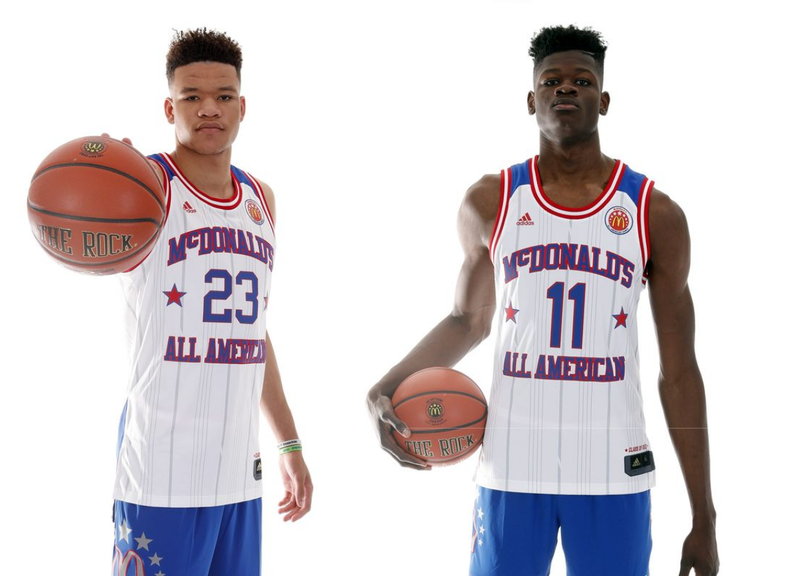 DeAndre Ayton could be ranked as the top center in this class and might get picked ahead of Bamba when all is said and done. Ayton is a man child who dominates in the paint and has good range on his jumper as well. If he can continue to improve his game and pick up his intensity level, the sky's the limit. Nick Richards is another big time center prospect, who helps make this center class one of the strongest in recent years. He's got length, good strength and smooth athleticism. Look for him to make major strides this year and develop into a possible lottery pick in June. In short, the 2018 draft class is loaded, thanks to an influx of talented Freshman and a couple returning players who could have been lottery picks in 2017. It's a well rounded class, with talent at every position and it has a chance to be a truly special class if Bagley is able to class-up. College basketball is going to be more fun to watch than ever, with all this NBA level talent on display.